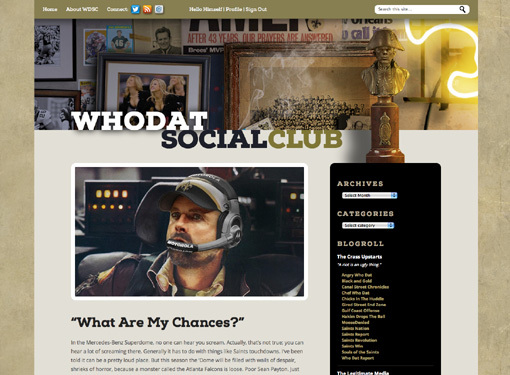 Who Dat Social Club is a fan blog for the NFL football team, the New Orleans Saints. 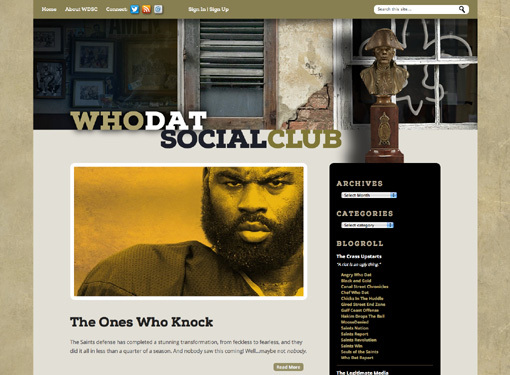 The name is evocative of the "social aid and pleasure" clubs of the Crescent City, which are typically organized around a neighborhood bar acting as a meeting place. 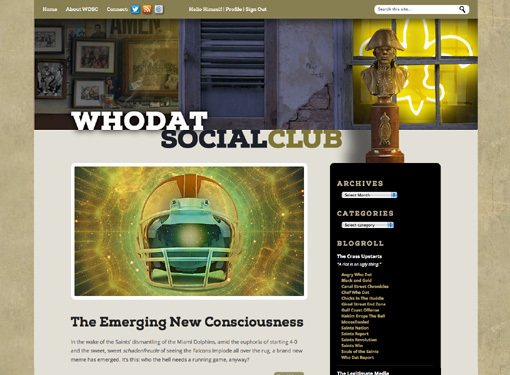 The design of the site was intended to be both sophisticated and playful, evoking the kind of "elegant decay" for which New Orleans is famous.